Swiss music is always good to have since only a few are around to choose from. Hailing from Lausanne, Switzerland, the French-speaking part of the country, Bryyn is the living proof that army knives and hot chocolate beverages are not the only things that the Swiss should be proud of. Most of his songs are written and recorded at his apartment together with his wife, Rachel and a couple of his friends playing the instruments. Wake Up is FFTme�s track number one and just right at the very start, listening very closely and carefully, you will notice Pachelbel�s Canon played all throughout. This is a nice touch to the track�s subtle elated message, providing a slight detail of classical music that makes the ordinary stand out. With more than 45000 listens, Laws of Physics is Bryyn�s most popular song of all time. The perfect blend of the acoustic guitar strumming and the delicate poundings and thumping of the drums make this carefree song easy to love. The Furnace delivers the definitive indie rock archetype from the cheesy theme to the wide array of instruments matching Bryyn�s lilting voice. It caps off with Shoot The Moon, a rather dramatic conclusion to the twelve track compilation. 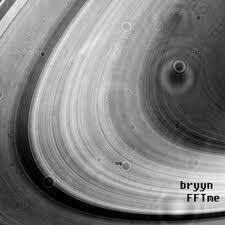 Bryyn with his �expat indiefolk� genre together with his acoustic guitar and moog keyboard is a delight to the ears. With people saying that he sounds like Simon & Garfunkel, you know you have yourself a treat.